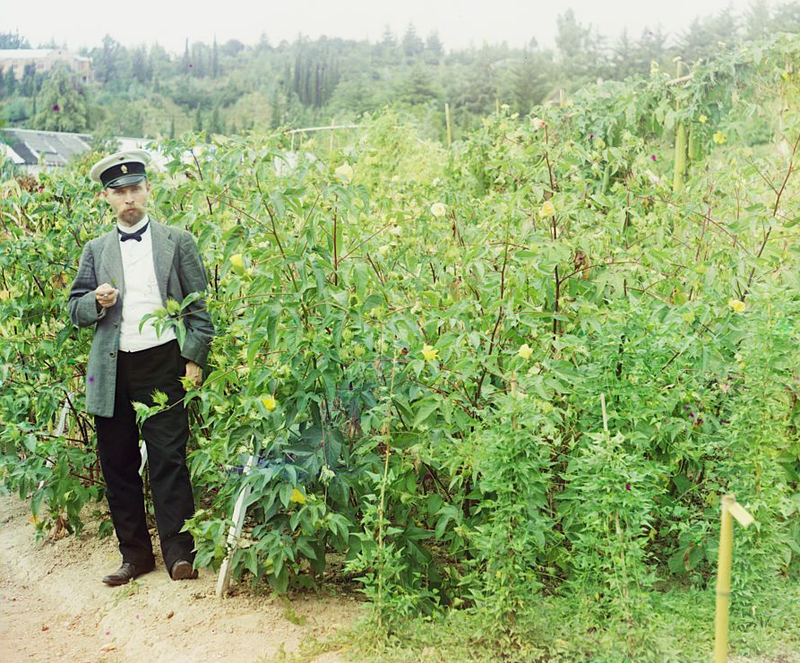 Man standing next to cotton in Sukhumi Botanical Garden, about 1910. 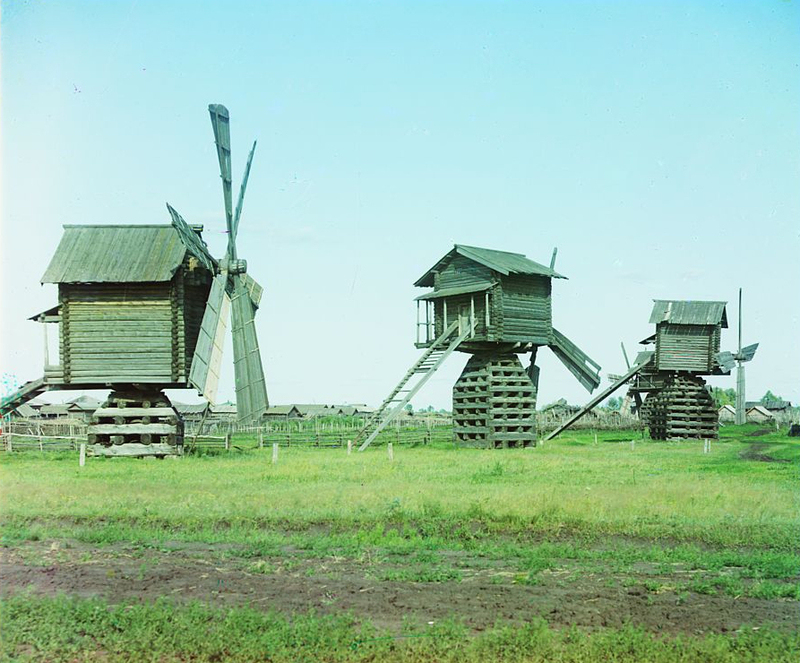 Mills (in Ialutorovsk district of Tobolsk Province), 1912. 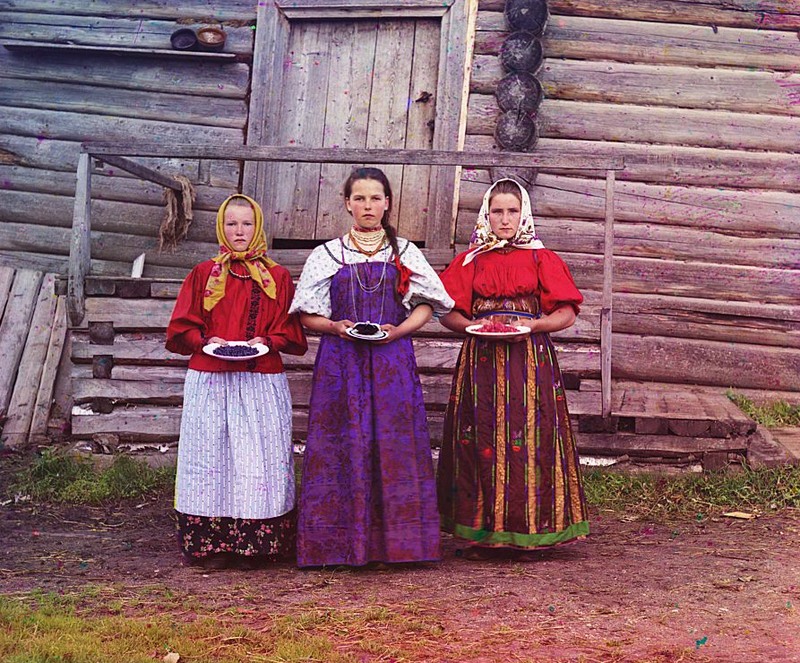 Peasant girls (Russian Empire), 1909.